It's the last minute rush to find the perfect gifts for those beauty junkies on your list. I have just the things to get your beauty junkie. 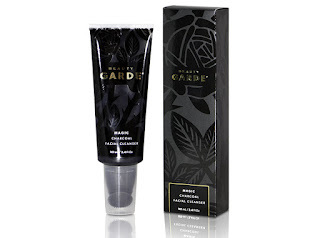 Beauty Garde makes wonderful products that help aid in making you look beautiful day in and day out. From charcoal facial cleanser to lash & brow shampoo, they have everything you need to look gorgeous. This foamless, sulfate-free cleanser contains charcoal powder to deep cleanse and detoxify skin, yet turns into a gentle, milky wash upon contact with water. It leaves skin looking and feeling clean, soft and smooth as you rinse. 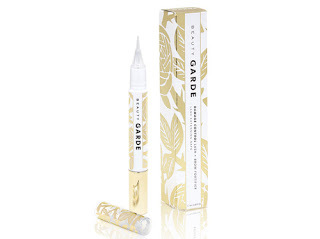 The primary package is another in the line of innovative BeautyGARDE delivery systems, the locking, twist top has small/soft silicone fingers on the brush head and these gently work to lift makeup, dead skin cells, and pollution from deep within the skin’s pores, leaving you with your cleanest, softest skin ever. So give yourself a break from the twisting brush... and feel the MAGIC! Magic Charcoal Facial Cleanser helps fight against pollution and environmental toxins that impact your skin, helps to minimize the appearance of skin aging, and helps your skin to appear visibly younger. This product is cruelty-free and not tested on animals. Directions: Twist cleanser head to ON position. Squeeze the tube to push cleanser through the brush head. Wet skin and gently wash face and neck areas in a circular motion until makeup is dissolved and product turns milky. Rinse skin thoroughly. Avoid contact with eyes. If contact occurs, rinse thoroughly with water. This cleanser is black and looks scary at first but is so wonderful. I love how it makes my face feels after cleansing. It leaves skin soft, smooth and so clean. Definitely a must for gift giving and makes a great stocking stuffer. 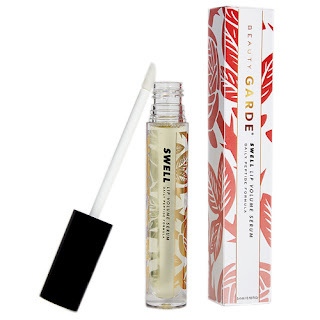 This terrific oil-free gel deep cleanse and completely removes makeup with no greasy residue. The soft charcoal brush head resists bacteria, protects the delicate eye area and cleans between every lash. This amazing tool will deep clean in between every lash without pulling or tearing, which is especially important for cleaning eyelash extensions and fake lashes! Ideal for all users, even those with lash extensions. The gel cleanser inside is 100% Oil-free and will NOT harm your lash extensions or false lashes. Lash + Brow Shampoo is great for removing mascara and eyeliner, and even though the formula is gentle, it will also remove waterproof mascara and waterproof eyeliner. As the name says - it can be used to remove eyebrow makeup as well. This cleanser is hypoallergenic, cruelty-free, non-toxic, fragrance-free and gluten-free. It is also great for those who wear contacts and who have sensitive eyes. Directions: Twist brush to ON position. Wet brush. Squeeze tube to push cleanser through brush head. Gently wash eye and brow areas until makeup is dissolved. Twist brush to OFF position. Rinse eye thoroughly. All brush to dry before replacing cap. This eye makeup remover is amazing. It removes eye and brow makeup in a snap. Definitely a great gift for any makeup junkie, I would make this a gift or stocking stuffer that is a must have. Passionate about your lashes? Love your lash extensions? Live for brow shaping? However, it’s important to protect, strengthen, and even grow new lashes and brows as you go. Damage Control Lash + Brow Fortifier is NOT just another lengthening serum. The proprietary formula contains a specific peptide combination, along with flower and nut extracts and fruit cultures to encourage new, more dense growth at the lash line and brow, and to discourage lash and brow loss. It also gives you root strength when and where you need it. More lashes and brows, better and stronger than before: in as little as two WEEKS! The full effect may take up to 30-45 days. And to make application easier the innovative click pen simplifies application for drip-free precision. This lash-saving serum can even be used while you are wearing lash extensions to prevent wear and tear to your natural lash line. 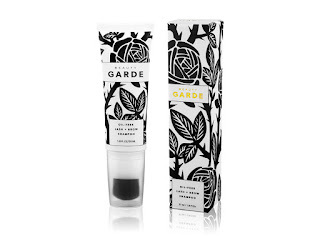 This product is fragrance-free, gluten-free, and does not contain paraben, sulfates, nor phthalates. And, as all of their products, it is cruelty-free and never tested on animals. Before use, prime the pen. Slowly twist gold “Cap” on the applicator Pen several times (approx. 10 clicks) to prime the pen and push serum into the tip. After the 8th click (and until the serum starts flowing), test to see if serum is flowing by brushing it on the back of your hand. As soon as you notice the serum is in the brush, it is ready to use. Note: after the pen is primed, you’ll only need one or two clicks for each use. Always apply before applying makeup to clean, dry, eyelids or eyebrows. Simply click the pen until a drop of product appears. With the brush tip, paint a thin line of serum along the upper eyelid lash line (i.e., base of your lashes, similar to eyeliner) using one stroke for each eye. For brows, brush serum onto skin in the desired brow area. Recommended use is up to twice daily (but no more) – before applying eye makeup in the morning, and nightly before bedtime. You should begin to see new hair growth in about 2 weeks! Full effect may take up to 30-45 days. After using this for a month you should definitely notice lash growth. This would make a great gift for someone like myself, who has wimpy, invisible lashes. Give it to someone who needs lash or brow growth. A healthy coat of mascara looks amazing layered over false lashes, but most mascara contains ingredients like oil, that can dissolve lash adhesive and cause both eyelash extensions and strip lashes to come unglued. 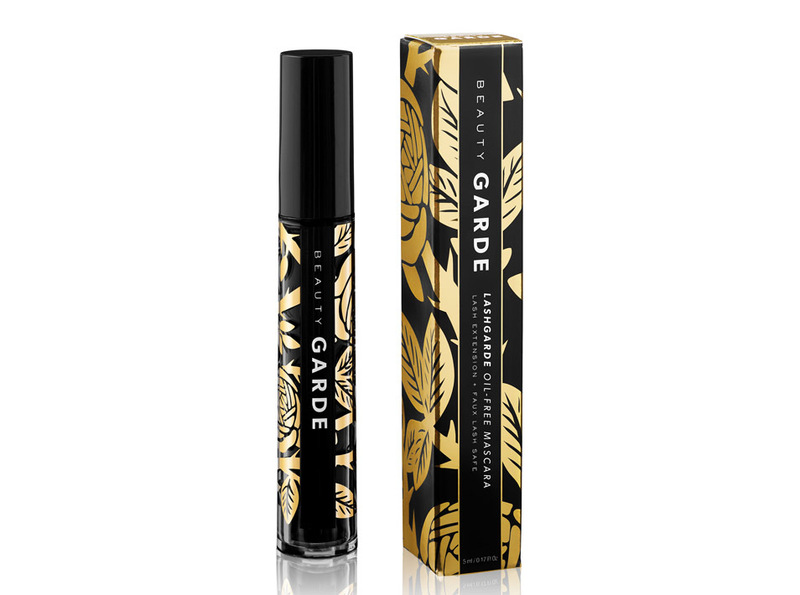 BeautyGARDE Oil-Free (water based) mascara is an intensely volumizing and lengthening mascara, formulated for use ON TOP OF lash extensions and false lashes. This formula is also ideal for contact wearers and sensitive eyes, and can be used on natural lashes for long lasting volume that is smudge proof and never runs. The oil-free formula protects the lash adhesive used in lash extensions and false lashes, prolonging their life and taking your lash look to the next level. This mascara is hypoallergenic, cruelty-free, non-toxic, fragrance-free, easy-to-remove, gluten-free and non-flaking. And finally, BeautyGARDE Oil-Free Mascara is also best for people with straight thin lashes, different eye shapes (like hooded eyes). This is the kind of mascara created for eyes like mine (hooded). I love this mascara. It definitely adds volume and length to my wimpy invisible lashes while keeping them from smudging and flaking. This would make a great gift for anyone who wears false eyelashes or has lash extensions, or even has hooded eyes like mine. SWELL Lip Volume Serum uses patented peptide combinations Maxi-Lip® and VoluLip®, along with Repair Lipids, Rehydration Spheres, and anti-aging BioRetinol, Revinage®, to help you cultivate your lips to be the fullest, softest, and most youthful- looking that they can be without injected fillers. Maxi-Lip -A natural peptide designed to greatly benefit the lips. This ingredient stimulates plumping to create smoother lips that are fuller, moisturized, and better defined. VoluLip – Delivers improvement of lip texture with a visible impact on the lip shape, increase of the lip volume, hydration and softness. Mimics hyaluronic acid treatments by doubling its synthesis level. NS Lip Repair Lipids - Helping to moisturize and replenish lips, this ingredient appears to utilize phospholipids and Phytosteryl ester to improve the barrier of the lips, helping to trap moisture in, resulting in plumper, more hydrated lips. Rehydration Spheres - A technology based on the ability of dehydrated and cross-linked spheres to penetrate the upper layers of the epidermis and to absorb the water that evaporates from the deep dermis. With this technology, this ingredient appears to inflate the lips and provide long-lasting hydration. Revinage - a BioRetinol that mimics the same positive results that retinoids use to fight against the appearance of skin aging. Skin will appear to be visibly younger by being luminous and firm with a reduced appearance of wrinkles and improved skin elasticity. Directions: Apply SWELL serum to your lips throughout the day and always before bedtime to enjoy dramatic results in as little as 30 days. This product does not burn or sting, since it is not capsaicin-based. Always apply before applying lip gloss or lip stick. You want the serum to have direct contact with the surface of your lips to ensure maximum penetration. With the brush tip, "paint" serum along the upper and lower lips. Allow serum to soak into lips before applying lip gloss or lip stick. Feel free to massage the serum into your lips to further encourage penetration. Recommended use is 2-3 times daily (but as often as you'd like), before applying lip gloss or lip stick in the morning, in the middle of the day for a boost, and nightly before bedtime. You should begin to see results within a week or so, and full effects in around 30 days. This would make a great gift for any beauty junkie. Just about everyone wants fuller lips. I know I do. I would highly recommend this for a stocking stuffer and for any woman/man who wants fuller looking lips ASAP! 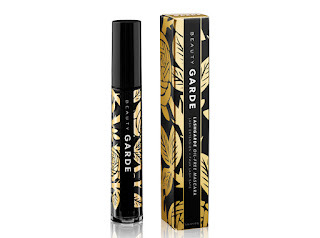 BeautyGARDE products are available online from www.beautygarde.com. Like BeautyGARDE on Facebook: https://www.facebook.com/beautygarde/; Follow BeautyGARDE on Twitter: @beautygarde; Follow BeautyGARDE on Pinterest: https://www.pinterest.com/beautygarde/; Follow BeautyGARDE on Instagram: https://www.instagram.com/beautygarde/ and Subscribe to BeautyGARDE on YouTube: https://www.youtube.com/channel/UCDnWYtdQ_bYCGZTgr5pyVmA.